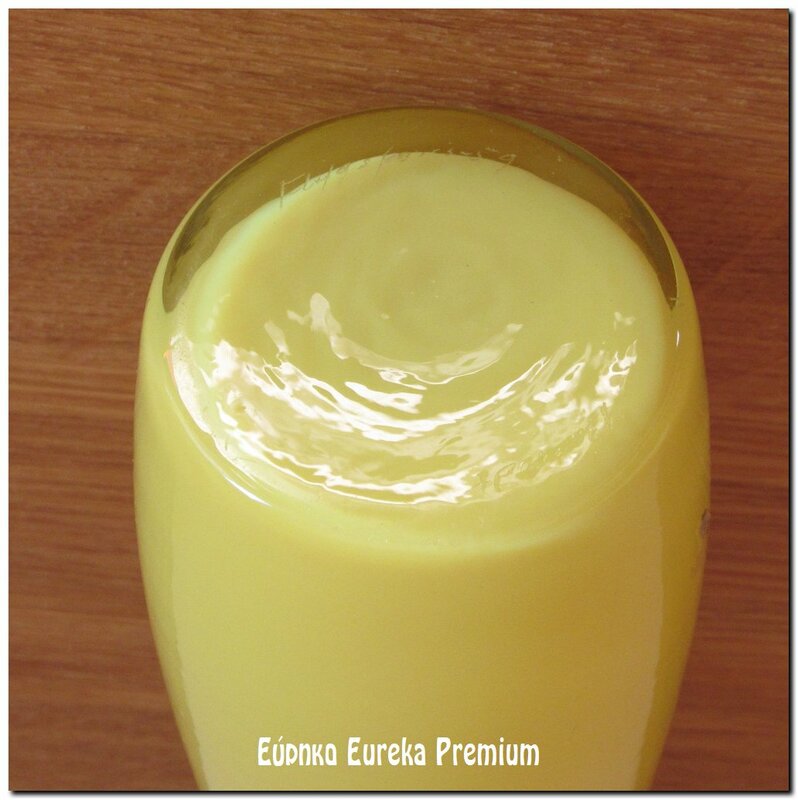 Eureka Premium: Συλλογή με διάφορα οπαλινένια ανθοδοχεία. Συλλογή με διάφορα οπαλινένια ανθοδοχεία. Collection of various cased vases. 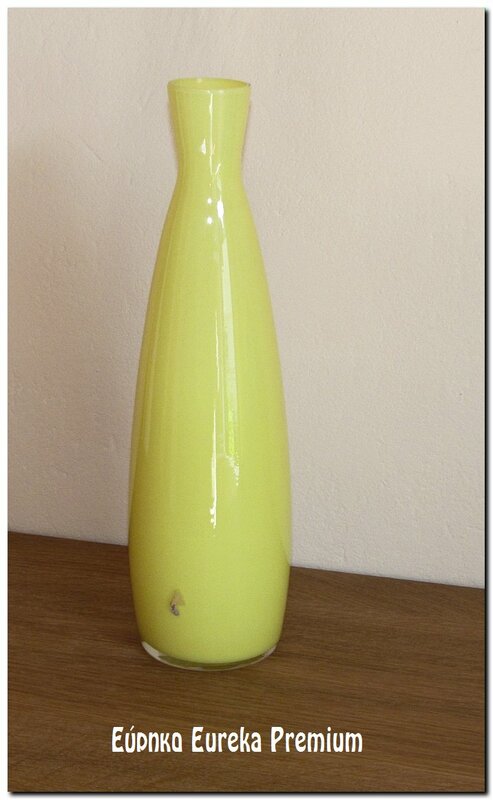 Turquoise vase from Swedish company Lindshammar. Designed in 1958 by Gunnar Ander. 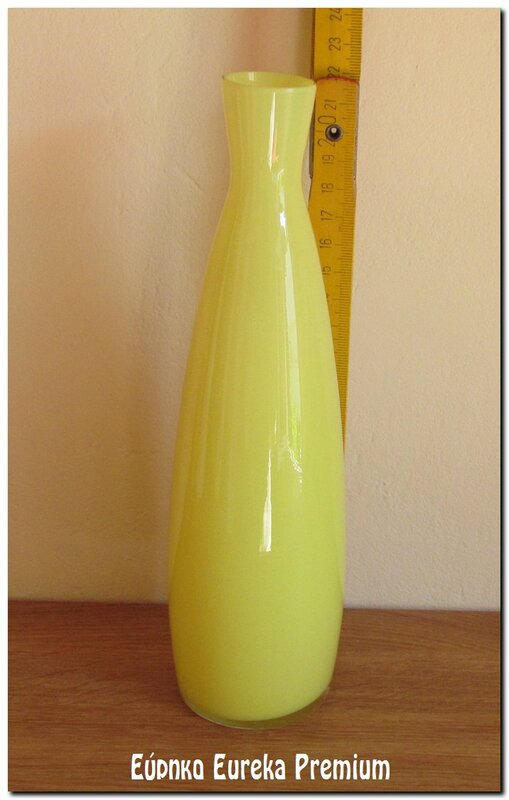 Vintage yellow vase/bottle from the Sweden glass company Flygsfors. Design by Carl Berndtfrom 1959. 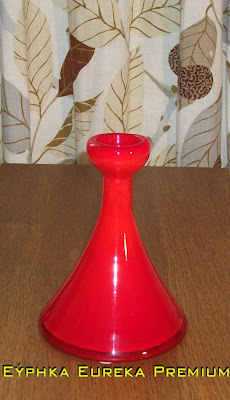 The vase is singed at the base. In very good vintage condition, with the normal wear from the age and here & there scratches. In nice yellow color. 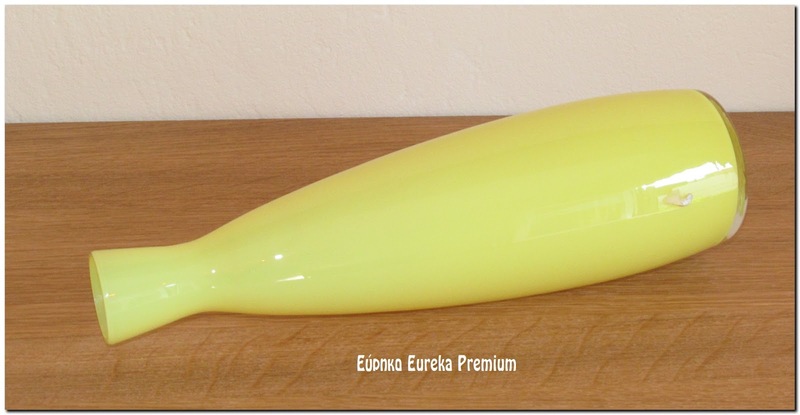 Exterior is clear glass, inside yellow opal. It is approx. 22.2cm tall or 8 3/4". The vase has a small part of the original sticker.